Ships today if you order in the next 15 hours 58 minutes. Acid-Ease digestion formula from Enzymatic Therapy is a vegetarian herbal and enzyme formula for soothing digestive support. 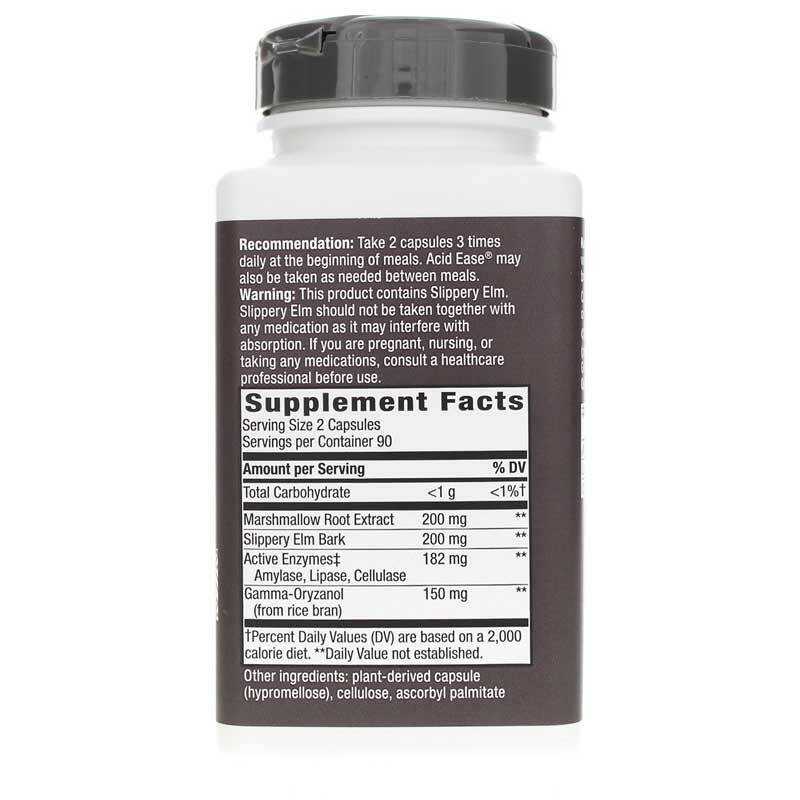 Contains slippery elm and marshmallow root - herbs traditionally used for their soothing effects on mucous membranes in the intestines. Provides soothing relief for those with sensitive stomachs. 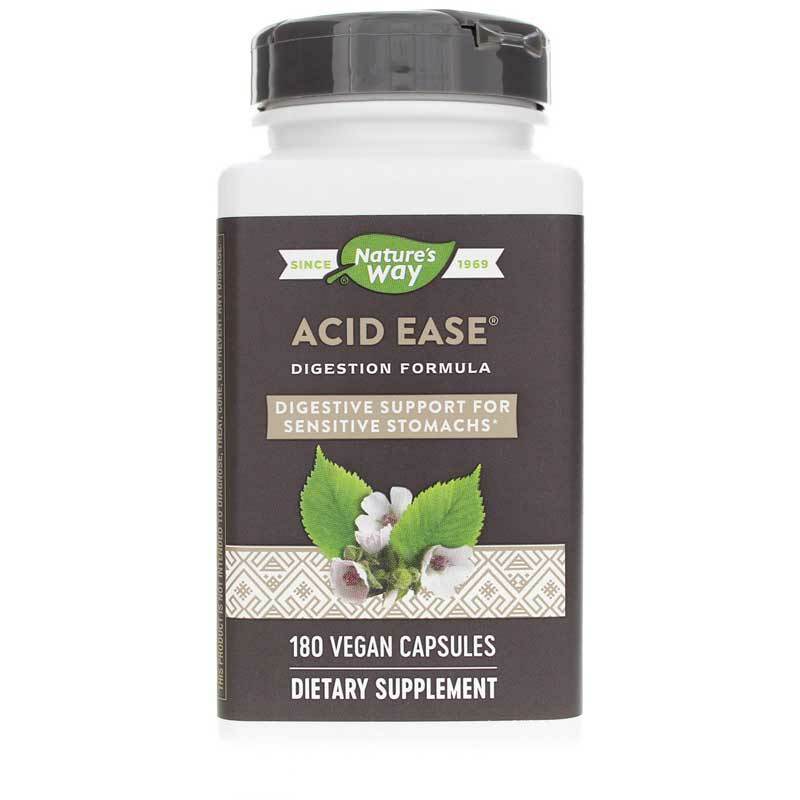 Acid-Ease was specifically designed for individuals with sensitive stomachs. Taken with or between meals as needed, Acid-Ease combines Pure Plant Enzymes with gamma oryzanol (found naturally in rice bran), slippery elm bark, and marshmallow root extract in a soothing supplement for relief of stomach upset, indigestion, and occasional heartburn. Other Ingredients: vegetable capsule (modified cellulose), cellulose, and ascorbyl palmitate. 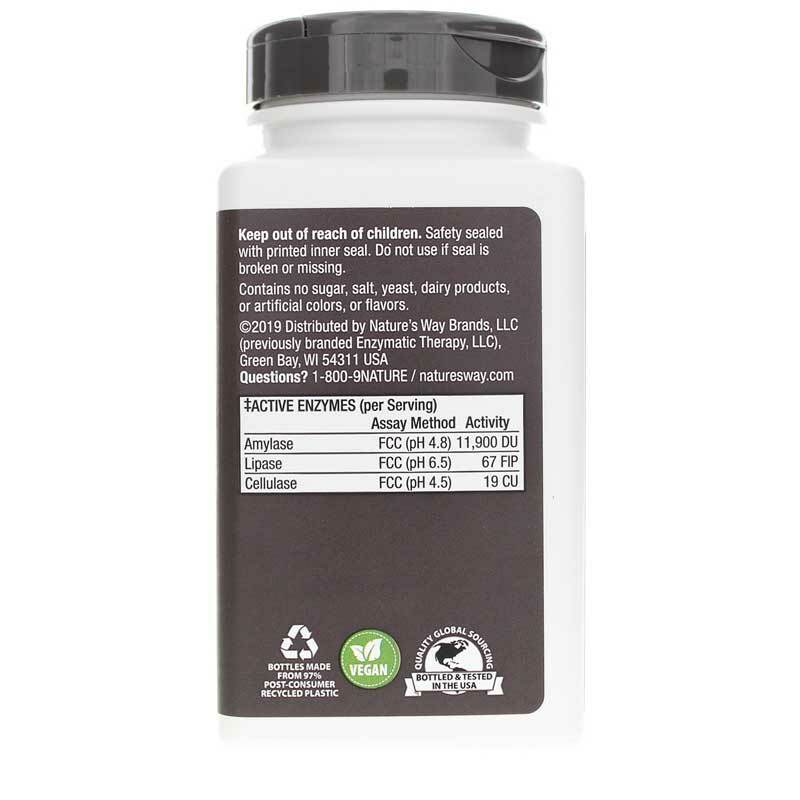 Contains NO: sugar, salt, yeast, wheat, gluten, corn, soy, dairy products, artificial coloring, artificial flavoring, preservatives, or ingredients of animal origin. Adults: Take 2 capsules 3 times daily at the beginning of meals. Acid-Ease may also be taken as needed between meals.